I studied Chemical Engineering in my Bachelor's program at Howard University. I also studied Chemical Engineering in my Master's program at USC. Prior to joining USC, I completed three summer internships: 1. Summer research student at Harvard University (2013); 2. Research and development intern at Kraft Foods Group (2014); and 3. Research and engineering intern at ExxonMobil (2015). What attracted you to choose USC for your graduate studies? I chose USC because it very well aligned with the field I wanted to pursue in the future. I wanted to have a fundamental background in chemical engineering principles. Moreover, USC gave me the largest scholarship. Tell us about your interests outside the classroom. I was an active member of the Mork Family Department Graduate Student Association and the National Society of Black Engineers. I also participated in activities organized by USC Christian Challenge, a campus ministry that held events such as discipleship conferences and bible studies. Additionally, I love outdoor activities and playing sports. Tell us about some exciting and unforgettable incidents from your two years at USC? As a part of the graduate student association, I was able to develop a strong network within Viterbi by functioning as student liaison between administration and staff. I strengthened my financial, organizational, and leadership skills as a treasurer and built many connections through this association. One of my favorite sports-related memories was being taken on a free trip to Las Vegas for the PAC-12 basketball tournament and getting to see Magic Johnson. Is there something that may surprise people to know about you? I am very passionate about basketball. In fact, I was on the Trojan Fever leaderboard for attending the majority of men's and women's basketball games at USC. Overall, how was the two-year journey at USC? My experience at USC was awesome. I learned the importance of networking, developed professionally, and formed lifelong friendships. I am proud to be a member of the Trojan family. What are your future plans after completing your degree? I have joined the Torrance Refining Company as a Process Contact Engineer. I completed my undergraduate education in EECS and Management at the University of Leuven (KU Leuven) in Belgium. I interned at Siemens and EPFL. After that, I managed to secure a prestigious Belgian American Educational Foundation research fellowship to support my graduate education and research in Computer Science (CS) and Artificial Intelligence (AI) at USC. USC is well-reputed as an institution in general and has many distinguished faculty in the fields of CS and AI. My reasons to choose USC for my graduate studies are threefold: 1. Master of Science in Computer Science research is encouraged and supported by well-regarded faculty, 2. the program could be configured to focus on my interest in AI while getting a solid graduate breadth in CS, and 3. USC has an excellent location near Silicon Valley. From the very start of my studies at USC I have been involved as a member of the USC Marathon team. Through consistent and fun weekly training, many of us were able to complete the LA marathon. Next to academic life at USC, finishing the LA Marathon has been a very rewarding experience for me. In December 2017, I was lucky to be selected -- with the help of USC-- to attend the Conference on Neural Information Processing Systems (NIPS) which happened in Long Beach, CA. Attending one of the premier conferences in AI and interacting with world-class researchers has been an unforgettable experience. In the Fall 2017 semester, I also attended the USC-UCLA Pac-12 game. Experiencing the massive tailgate and witnessing the game at Coliseum -- filled with 90,000 people --has been a truly unforgettable experience. Being felicitated with the USC Viterbi Masters Merit Award for Computer Science was a unique experience too. Contrary to most CS masters students, my background is actually in analog circuit design. My interest in physics and the urge to build things led me to pursue this interesting field of study. After working on more algorithmic circuit design and publishing several papers, I realized that my interest in the booming field of Artificial Intelligence was even bigger. This inspired me to make the surprising jump from analog circuit design to AI and machine learning. I can now say that I am very happy that I made this change, and I look forward to the future! Actually, I managed to complete the journey in a little less than one year. Putting a lot of work into courses and research has been a truly rewarding experience. The collaboration with my project peers in Professor Lim’s Deep Learning course and great interaction with everyone in Professor Sukhatme’s lab are things I will cherish forever. Although my stay at USC has been very short, I believe USC provides an excellent environment for CS education and research. In September 2018, I will start my PhD in Computer Science at the Swiss Federal Institute of Technology in Lausanne (EPFL) as an EU Marie Skłodowska-Curie Fellow in collaboration with the MIT-IBM Watson AI Lab in Cambridge, MA. There I will be able to continue AI research on an international level. I am from South Korea, and received my bachelor’s degree in Computer Science from Yonsei University, Seoul. Before I started my undergraduate program, I had no idea about Computer Science and programming. (I didn’t even know about Apple and iPhone.) But I immediately got fascinated by programming as it lets me develop anything I want. Then, I got involved in different activities to demonstrate how interesting the world of programming is. For instance, I taught programming skills to non-computer science students and even helped women high school students understand the joy of being a computer science student. There were multiple topics in Computer Science that I wanted to conduct research on. USC has a very well-known computer science department with a strong research foundation. So, that gave me the confidence that I would be able to study many different topics and discover what I really love. Also, Los Angeles is the perfect location to work with tech companies as well as start-ups. Last but not the least, I chose USC because of the perfect southern California weather. I like to discover and explore new things --restaurants, electronic devices or services. I am also interested in understanding how people think and behave. So, I read books on Psychology. I also enjoy watching movies and try to give my own spin to stories of main characters. Last year, I took CSCI578 (Software Architecture) course offered by Professor Nenad Medvidovic, who is my current advisor. In the beginning of May, a final project presentation was left, and I literally stayed up 40 hours to finish the project on time. I was trying to fix a critical bug in our tool, but since I was exhausted, I was struggling with the bug for a long time. But just 10 minutes before our presentation, like a miracle, I could fix the bug. My team won the second place in the class. The campus, after the presentation, looked so beautiful with the purple blossom of Jacaranda flower and I felt like it was all a dream. After the presentation, I had a chance to enhance the tool under the guidance of Professor Medvidovic, and even published a paper at the International Conference on Software Engineering at Gothenburg, Sweden. I have never watched any horror movies until now. When I was in high school, I read a book about subconscious thoughts and realized that I did not want any negative and cruel images for my subconscious thoughts. I believe that what I see in my life will determine how I think, and I want to be a positive and a joyful person. So, I try to watch happy or inspiring movies as much as possible. It was the toughest two years in my whole life. But I enjoyed a lot. I’ve been involved in a variety of research projects, and learned how to find an interesting problem and solve it. I’ve found my overall career goal. Most importantly, people that I met here (my roommates, lab mates, friends from different events) are really amazing. Since all of them are from diverse backgrounds, I could see many different behaviors and lifestyles, which broadened my perspectives. My two-year journey at USC was unforgettable, and I believe that it will be one of the most important phase in my whole life. I am starting my PhD program in Fall 2018 at Carnegie Mellon University, Pittsburgh. It is really sad to leave all of my friends and the beautiful city of Los Angeles, but I am embarking on the next great journey for my career. I’ll keep focusing on interesting problems in software engineering and help people develop high quality software. During my PhD, I will also try to solve real-world problems using software engineering, by working in the industry as an intern during the summer. I come from Xi’an of China. Both my parents work in a state-owned enterprise. I graduated from one of the best high school in China, the middle school attached to the Northwestern Polytechnical University in 2012. Then I joined Xi’an Jiaotong University, one of the best university in China, and got my bachelors degree in Biomedical Engineering in 2016. Later, in 2016, I came to USC to pursue my masters degree in biomedical engineering. I am really thankful to all the schools and professors who have taught me until now. There are several reasons. First, I think that the weather and food in Los Angeles is quite nice with sunshine, beautiful beach and delicious Chinese food in San Gabriel. Second, I consider that USC is one of the best universities in USA, particularly for the engineering field. Thirdly, there is ample education and research resource available here. For instance, I have access to computation resources like GPU by my Lab (LONI), which helps me do my research work. And finally, there are a lot of USC Alumnus in Los Angeles who can help me with my career. Interests outside of classroom? It should be working in Lab. Just kidding . I like to go around with my friends and see new places. I also enjoy cooking. I have been playing piano since my childhood and I continue to play it, since I like it. Music always make me relaxed when I feel tired. I think it would be the first time I got paid for being a teaching assistant (TA). It was unforgettable because it was my first salary in life. I really feel I can make some contributions to this world. I think people might be surprised to know my real nature. I look like a serious man, who doesn’t talk much. But I am an outgoing individual who enjoys social life and communicating with others. So, I think this may surprise others. It was a fulfilling journey – studied a lot, met many interesting people and finished my masters degree successfully. I plan to pursue a PhD now. I grew up in Southern California, but moved to the Bay Area to do my undergraduate studies at UC Berkeley in Electrical Engineering and Computer Science. I subsequently interned and got hired full time at Chevron in an IT role. After spending my first 3 years working at/near their headquarters in the Bay Area, I moved down to Houston to take my next position at the company. Six years later, I still reside in the Houston area as of now. When I made the move to Houston, my intent was to get closer to the exploration & production side of the business in Chevron, and at the time, I was also exploring options for furthering my education. After consulting with many, including mentors and management, I decided to pursue a Petroleum Engineering MS program in order to develop a blended "digital engineering" skill set. I chose USC due to the research partnership they had with Chevron, and also the number of current students and alumni I knew who went through the same MS program through DEN@Viterbi. Outside the classroom, I like trying new foods from cuisines all around the world. I also like exploring new places. Although the DEN program provided me with the needed flexibility to pursue the MS program in a part-time remote fashion, one regret I have is the lack of in-person interactions. Although there were lots of good online and phone interactions, particularly for class projects, it isn't quite the same as the on-campus experience. Still, I've connected with quite a few classmates and still keep in touch today as much as possible. I have a strange fascination with meteorology that I keep only as a hobby. Although I've taken an introductory class in my undergrad years, I never seriously considered pursuing it as a major or career for some reason. Because I did my MS studies part-time while working full-time, I took only 1 class per semester, and so my journey at USC took much longer than 2 years (over 4 years, in fact). The journey was long, challenging, but very fulfilling. And I can surely say that I've learned a lot along the way. My future plans are to continue working at Chevron, hopefully in a digital engineering role which makes use of both my undergrad in Computer Science and the Petroleum Engineering knowledge that I've gained from my MS studies. I did my undergraduate studies at Penn State University and got my Bachelors in Aerospace Engineering. Then I immediately came to USC to do my Masters in Astronautical Engineering. I worked for Space X during last spring and summer. One of the key reasons why I chose USC was the curriculum and program that it offered. USC has a program in Astronautical Engineering, specifically focused on space engineering, which most of the other universities don’t offer. I like this program because it allowed me to focus on what I like and also gave the opportunity to take aerospace courses. More specifically, I liked how the astronautical department offered more application based curriculum as opposed to theory based. Another reason was the location of the university – Los Angeles. Space industry companies are based in Los Angeles and so it ended up being a great location for my career and really helped in networking as well. Opportunity to get hands on experience through USC’s Liquid Propulsion Laboratory (LPL) was one of the important factors too, for choosing USC. Outside of classroom, I enjoyed working with LPL – they build liquid rocket engines. I was involved with a similar lab during my undergraduate studies. At USC LPL, I was the lead and spent majority of my time at the lab. I was fortunate to be the lead. LPL has a partnership with a lab in Kyushu Institute of Technology in Japan. The labs are working together to build a large launch vehicle. We are building the rocket engine while Kyushu Tech is in-charge of making the actual vehicle. It’s a large vehicle measuring 16 feet and weighing almost 2,000 pounds. One of the unforgettable incidents is associated with LPL. In December 2017, we had our first successful static fire, which was one of the exciting moments in my life. We were able to static fire a liquid rocket engine in the Mojave desert. It took almost a year to prepare and I lead the team, of around 30 students, behind this. I am very passionate about basketball. In fact, I was also on the Trojan fever leaderboard as I had attended the most number of games at USC. It was an amazing experience and I was able to learn a lot. I was able to collaborate with people from all over the world. Working with people in our labs brought a lot of great ideas and helps innovate. Another great thing about USC is the clubs and resources it offers, which fulfill your passion and desires. Starting next month, I will be working for Space X at Hawthorne, California. Prior to beginning the Computer Science program at USC, I received my B.S. in Aeronautics & Astronautics from the University of Washington (in Seattle, WA) and worked briefly at Boeing as an Aerodynamics Engineer. The unique Computer Science - Scientists & Engineers track attracted me to USC as it gave me the opportunity to pursue a M.S. in Computer Science despite not having an undergraduate CS degree. I knew from my work and previous academic experience that I wanted to learn more about Computer Science, and USC was one of the few institutions that offered a complete M.S. for those without formal Computer Science training. The entire program seemed very comprehensive and well-planned, and given USC's academic reputation and my desire to pursue Computer Science it seemed a great fit. Outside the class, I enjoy cooking and reading. For me, some of the most unforgettable experiences have definitely been those related to challenging courses/assignments and pushing myself to learn or do something beyond what I thought I could. For example, one of my most challenging courses was Operating Systems (CSCI 402). I cannot count the number of late nights my group and I spent working on our daunting kernel assignment. The feeling of accomplishment, however, when we finished was incredible - I could not have imagined 2 years ago that I would ever be able to understand or create my own OS. Additionally, I had the pleasure of taking Software Engineering (CSCI 577a) and I got to work with a team to create an inventory management system for the USC STEM Educational Outreach Programs office. This was a really fulfilling project to work on as I was able to learn so much and also create something meaningful with a real positive impact! Prior to beginning my Computer Science Master's program, I had never taken a CS class before! My journey at USC has been very positive and fulfilling. I have really enjoyed the classes, and learned more than I could have imagined in just 2 years. I also loved working as a Course Producer and helping others on their academic journeys. Finally, I have made wonderful lifelong friends. Overall, it has been a great experience! I am planning to work full-time as an engineer. My goal is to work in a position where I can combine my Aerospace Engineering & Computer Science interests and skills. I graduated from USC in Biomedical Engineering (BME) with an emphasis on Medical Device and Diagnostic Engineering (MDDE). Also, I did my bachelor in biomedical engineering from Shandong University in China. I'm really passionate about BME! While pursuing my master's degree at USC, I had a better and deeper understanding of my field of study. So, I joined as an R&D project intern at Medtronic and Data Analytics intern at ThermoFisher Scientific. The Viterbi School of Engineering is known for its innovation and is a student-driven hub. The BME program offers flexible and versatile course plans where you have a lot of interesting options to choose from; especially the MDDE. I like to stay fit by going to gym. Also, I love to get involved in activities conducted by student organizations like the Viterbi Graduate Students Association (VGSA)VGSA and Graduate Students of Biomedical Engineering (GSBME). I became a member of VGSA and was a department senator during 2017 Spring semester. It was an unforgettable experience, filled with enthusiasm and commitment. I'm happy that I could help our students and department through my efforts. Now, I am confident that I can take leadership roles. I'm can easily adapt to situations and new people. I was an exchange student in two different universities during college time, both domestically and internationally. I can also multitask. I did two internships at the same period during my last semester. It was definitely a fantastic journey. I will miss the classrooms where I attended lectures and the libraries where I studied hard. The people I met at USC were very supportive. I'm dedicated to medical device and biotechnology industry. I will always be curious and passionate about it. I came to USC from Istanbul, Turkey, where I was born and raised and completed my education up to, and including, Bachelor's Degree in Koç University (pronounced Coach). I feel like my education in Koç University actually prepared me quite well for USC, as we had a similar class structure such as midterms, finals, discussion/lab sessions, online material, etc. That way I was prepared for my 2 years here at USC. It was also a private school like USC so I was already accustomed to complaining about tuition. I worked at two summer internships - one before my junior year, and one before my senior year - and those were mostly the work experience I had before coming to USC. Back in my undergraduate studies, my major was Computer Engineering, which is similar but a little more general than my current Computer Science - Game Development specialization. The internships I had were not related to game development specifically, but they were helpful in terms of adapting to the workplace and improving general software engineering skills, which were also applicable in my Masters education. In my senior year of college, I started to think about getting into a Masters program. I had not studied abroad before, but my older brother had gotten his Bachelor's Degree from Brandeis University in Boston and I would visit him every now and then with my parents. I thought it would be a good idea to check out the CS masters programs in the US. Back then I had three fields in my mind: Artificial Intelligence, Computer Vision/Graphics, and Game Development. While browsing through universities in the United States it was actually much more common to come across the first two, but Game Development was much rarer, which was the program I was the most passionate about. Many universities had game programming classes, but it was definitely not common to find entire programs dedicated to Game Development. I've loved playing games since I was little, having spent a lot of time playing Pokemon and World of Warcraft (which I still do!). Considering my love for playing games and my passion to examine and complete every detail of a game led me to pursuing Game Development. After doing some research, I quickly realized that USC is one of the top universities offering the best courses in Game Development in the US. Within my final year, I also got an offer for admission into Virginia Tech, which would've been a focus on Artificial Intelligence, however, as soon as I received my offer from USC for Game Development, I knew that this was the path I wanted to take. Photography is one of my hobbies that has been consistent throughout the years, aside from (obviously) gaming. It is both a great excuse for travel and an awesome way to meet new and amazing people. I've met some of my closest friends through the USC Photography Club and the camping trips we've organized all around California. Photography is also great to attend events and get to sit on the front row, as I did while shooting sports for Daily Trojan, or even in my undergraduate years taking pictures of concerts and other performances. It even found its place in my projects (shameless plug) as I worked on finishing our Masters thesis game "Embedded", a Virtual Reality photography game that takes you to the Vietnam War as a photojournalist. A new hobby that I've found while at USC is dancing. I joined Break On 2, the Latin Fusion Dance Team at USC, first through the student club with friends, towards the end of my first semester. After going to club for a few weeks, I was already having tons of fun and later on decided to join the performance team and actually ended up performing at Bovard this past April. The weekly practices were a great way to blow off steam after a long day of work or school, and it just felt so physically engaging and different. I would attend salsa nights that the club organizes every month where people from all around Los Angeles would gather and just dance with each other in a very relaxed and social environment.I play guitar and am constantly practicing to improve. I joined the USC eSports club and participated in collegiate Overwatch tournaments representing USC. At some point I even volunteered at a set for a short film and was the sound guy with the boom microphone for a few days and even that was an exciting different experience. I want to trying acting / voice acting too at some point. It feels like everything that's happening around is so accessible that it only takes that "let's do it" to experience something totally new. I would say that our Break On 2 dance performance is definitely one of my unforgettable incidents here at USC. Working week after week perfecting a piece for that one day can get pretty stressful, but is also very rewarding. Being able to show everything you have worked on so far to everyone in the audience and getting that feedback is definitely an extraordinary feeling. It was a similar case when we presented our game "Embedded". We got accepted to show our game at VRLA, which is the world's largest VR convention, and the whole experience was new to me. We had our own booth where we got people from all over the world giving us amazing comments. It was a really proud moment. And last but not least, our Computer Science commencement ceremony was of course an unforgettable day for me. I happened to be the first in line and got to carry one of the flags for Computer Science. My family was there to see me graduate and they could see my name on the commencement booklet as one of the award recipients. It was a way of showing my gratitude to them for everything they have done for my growth and education. It has been an amazing two years. The only problem is that I was just getting used to being here at USC and now I am graduating. I've learned so much in my program simply because of how closely tied it is to the gaming industry. As I was working on my projects, I would constantly get exposure to people from the industry, receiving feedback and advice that also became useful later in the work environment. It was thanks to the USC Gamepipe Laboratory Showcase and the program coordinator Mike Zyda that I was able to show our game to visitors, connect with employers and actually find a part-time job to work at during my last semester. I remember that when I first looked up and applied to USC, I never imagined that I would be deeply involved throughout the program. It was a very different experience studying in a completely different country, seeing people from diverse cultures, and enjoying different kinds of food. Living abroad on my own, away from home, was a challenge, but it taught me to make decisions, take responsibility and I feel that I've matured significantly. During my last semester, I've been working part-time at fun-gi, a startup company that focuses on mobile game development. So far it is going great, and I am really glad to see that the courses I took at USC line up very well with my responsibilities at the workplace. Soon I will start to work full-time at fun-gi, and I am excited to see what the future holds. am from India and I did my undergraduate degree in software engineering from Delhi Technological University. Then I worked for two years as a software engineer at Info Edge India Ltd. My experience at Info Edge India Ltd. began as a software engineer and the main responsibility involved development tasks. During the stint, I developed interest in analytical tasks and started working on analytical projects. Then I started using big data and analytical tools. The work experience helped me get an admission at USC, as it was more related to the major – Data Science. In the beginning, I mostly focused on data science courses, but later switched to general computer science. One of the key reasons why I chose USC is its location – California – which offers a lot of engineering opportunities. Moreover, the flexibility to pursue courses from different majors is another positive aspect of USC. I enjoy playing outdoor sports like Soccer and Badminton. I did join the USC badminton club for a short time and even got selected in their team. While at USC, I also went for many hiking trips. At USC, I got a lot of international exposure and made friends from all over the world. I learnt their languages and cultural practices, which are memorable experiences that I will never forget. When I tell people that I am an introvert, they don’t believe me as I tend to talk a lot. would give a 10 on 10 to my experience at USC. It was worth it and I learnt a lot of new things. After my experience at USC, I look forward to working in different countries and exploring new cultures. It definitely feels exciting to visit new places and explore jobs that align with my interest. I was born and raised in a small town called Dholpur in India. My father being a professor always instituted acquiring knowledge as the most important aspect which inspired me. In 2015, I acquired Bachelors of Technology in Computer Science from Laxmi Niwas Mittal Institute of Technology(LNMIIT) in Jaipur. Followed by that, I joined Bosch Ltd in Jaipur to attain practical skills. In order to enhance my skills, I wanted to pursue masters in data science. During Fall 2016, I joined University of Southern California, as a graduate student and it helped me to become a better person in many aspects during my studies. USC offers the best amalgamation of knowledge and skills, having a hold of practical approach towards education is the crucial element in today's world. I always wanted to go to a school where I can learn how to keep myself motivated enough for continuous learning. The world is evolving at a steady pace and always being a student is the key to success. It was well reflected through the curriculum at USC and that's why I chose USC for my masters. Interacting with people cultivates our thoughts better; we get more wider prospects and it helps to bring out the better in us. I always worked towards a goal to help my peers in every way possible. While being at USC, I was involved as a senator for Computer Science department at Viterbi Graduate Senate Organization (VGSA). Here I was responsible for organizing technical and fun events for the students. Also having a closer glance at the curriculum, to help fellow students maximize their knowledge, was a core part of the role. I remember organizing the Hollywood hike event during my tenure as a senator. It was a great experience, handling all the arrangements, promoting the event and putting up the best efforts to make sure that it was successful. It was an early morning event on weekend and we had lot of people signed up for the event. It was exciting to see people showing up at 6 AM. It was an amazing event and students were happy at the end of the hike. This is one of my best memories at USC. Always believe that you can get through the toughest times. All of us have different experiences throughout our journey and we must keep looking at the present moment and try to make the most out of it. This is what I do when things are extremely hard sometimes and people around you will be looking out for you. n one word it was "awesome". I came all the way over from another country and found a home here. Friends that are family now, being at USC changed my life. I acquired skills, used them and lived it out beautifully. These two years have changed me and brought out the best in me. Take my words: USC is an experience for a lifetime. I would be joining BlackRock in New York as an analyst. I did my summer internship in 2017 at BlackRock and it was an excellent experience. I am an international student from Shanghai, China. I completed my Bachelors degree at Rensselaer Polytechnic Institute (RPI) in New York, and pursued my masters in engineering degree at Cornell University, New York, both in Biomedical Engineering. I joined USC for the PhD program in Biomedical Engineering in fall 2015. The main reason is that I found strong interest in the research topic and focus that my advisor, Dr. Stacey Finley has. Her lab, Computational Systems Biology Laboratory, use computational tools to study cancer biology, angiogenesis, and immunotherapy, which can provide insights for design of optimal cancer therapeutic strategies. My research at Cornell was also related to similar topics, which was how I became more familiar as well as interested in the research strategies employed in Dr. Finley's lab. Another important reason is that, the weather in southern California is undeniably nice. Having spent many years in upstate New York, I could really use some nice and warm sunny days. It definitely makes me happy and helps me enjoy life as a graduate student. I'm very much into powerlifting. I train 5 to 6 days a week. For the rest of the time I relax so, I can recover from training and be stronger next time. I guess the most exciting thing that's happened to me here is that I recently won the outstanding mentor award for school year 2017-2018. I've always felt so happy to meet my two great mentees. I'm normally an introvert and a bit anti-social, but putting myself out there and providing my support and guidance was a great and enjoyable experience. Moreover, I made two great friends. I'm pretty strong in powerlifting. I can probably out-lift 50% of all the people who work out. maybe 90% of the girls who work out. I do want to compete but feel reluctant to follow a traditional powerlifting training program, though. So, I train myself. It will be three full years in August 2018. I'd say it has been wonderful. I've learned a lot about myself, people around me, and just life in general, thanks to all the resources that are easily accessible to students here. Comparing USC to my college, it's a very different environment, and honestly, I enjoy it more here. I think USC made it possible for us graduate students to enjoy life as much as we can while grinding on the research work. I feel very fortunate and grateful to be here. I'm thinking of joining a research team in a pharmaceutical company, to make good use of my knowledge and skills in developing novel therapeutics. It's always been my goal to be able to contribute to advances in science and healthcare. I am from the city of Ahmedabad in India, where I did my schooling and undergraduate studies. I pursued my undergraduate degree in Mechanical Engineering at Nirma University in Ahmedabad. Overall, I am very studious. I took part in elocutions, debates and several extracurricular activities which helped build my profile as an all-round student. After completing my undergrad, I had job offers from several tech companies but I wanted to pursue higher education. Since a very young age, my mind was focused on coming to the US. I chose USC for the subjects it offered in the field of Computer Science and Aerospace. During my first semester here, I met Professor Satyandra K. Gupta and he offered me a Research Assistantship at the Centre for Advanced Manufacturing, founded by him, in February 2017. I gained a lot of experience working in his lab and was also made the in-charge of few projects. Later, I wanted to do PhD under his guidance and also did a few publications under him. This is when I gained the research background at USC. It definitely changed my life and provided me the exposure that I was looking for. In summer 2018, I started my PhD in Robotics under Professor Gupta’s guidance. I like playing guitar during free time. I also enjoy taking road trips during the weekends. At college, I am always involved in student associations. During my first semester, I joined the Viterbi Graduate Students Association (VGSA) as a Senator. Looking at my work and efforts, VGSA board members wanted me to join the main governing body as well. Later, I was elected as VGSA’s vice president for finance in Spring 2018. One of the most exciting and unforgettable activity for me was the cruise experience to Marina Del Rey, organized by the Graduate Students Association in Spring 2017. It was never my aim to be a gold medalist or a high-ranking student. But it all happened without me expecting or aiming for it. It’s a surprise for me as well. I have a well-balanced life, managing my time between academics and extracurricular activities. Overall, how was the two-year journey at USC ? The two-year experience at USC has been outstanding. USC gives you the platform to follow your passion and desires. One of the main reasons for me to pursue higher studies in the US was my interest in defense and aerospace industries. I want to work in one of the big defense companies like Boeing or Lockheed Martin. Even while pursuing my PhD, I want to build a network of contacts and relationships with them. I finished my Bachelor of Technology in Computer Engineering from Veermata Jijabai Technological Institute, an autonomous institute affiliated to the University of Mumbai, in India. The work experience I had previously was a two-month summer internship at Samsung R & D Institute, Bangalore as a Software Development Intern. One of my primary reasons to apply to USC is the fact that it is one of the top 20 universities to pursue Masters in Computer Science in the US. I had done my research and found that USC has a very strong alumni network and it has a huge brand name amongst technology companies. Another important factor was the number of research opportunities available due to USC’s Institute of Creative Technologies and Information Sciences Institute. My decision was strengthened when the admission panel awarded me the Dean’s Scholarship for the year 2016. I really appreciated that as it is the kind of encouragement a university should give to its prospective students. I am a huge soccer fan and I support the London based Arsenal Football Club. Apart from that, I play a lot of cricket and have played in the Cromwell Premier League during the last 3 semesters at USC. Also, I like to watch a lot of TV series with Game of Thrones and Breaking Bad at the top of my list. I am a fan of Hollywood movies as well, with Interstellar and The Batman trilogy being my favorites. As studious a student I am, one of my most unforgettable incidents happened while my group was solving the Operating Systems Assignment-3. Trust me, it is one of the toughest assignments which I have faced in the past 6 years of academia in computers. We were one day away from the deadline and our kernel was still crashing. We were sitting in SAL and it was 2 am but we still could not get it to pass all the tests. All four of us wanted to go home and just fall asleep! That was not an option though with the looming deadline. We took a break, had a Subway and got back to solving the assignment. 6 am on the clock, red eyes, fallen faces and still debugging! And then came that golden moment when I saw a line of code which I had felt was essential previously but had commented it out since it was crashing the kernel at that time. I realized that we do need it now! I uncommented it and voilà - the kernel was not crashing anymore! There were some celebratory but tired hurrahs! And there was a huge smile on my face. We had done it. I realized then, how a single line of code could change everything! It cleared the gateway for us and by 7 am, we got the kernel up and running. Despite getting just 4 hours of sleep that day since I had a lecture to attend at noon, it was nothing but heavenly and highly satisfying! It certainly is one of my most unforgettable incidents! Students from the Computer Science department will find it very surprising. I was one of the very few students who took Machine Learning along with Deep Learning in the 3rd semester - two very heavy courses in terms of difficulty and amount of coursework that USC has to offer! My plate was already full but I decided to take the internship offer (a co-op) at Ticketmaster which meant going to their Hollywood office 4 days a week and spending 20 hours at work. To make things worse for myself, I was on a job hunt, preparing and appearing for full time interviews with many tech companies. It was one of the busiest phases of my life and more often than not, I found myself getting just 4-5 hours of sleep per day! I managed to do well in both the courses, get another internship offer from Ticketmaster for the next semester and got a couple of job offers - a feat which I had deemed impossible at the start of the semester with the burden I had decided to take. All’s well that ends well! My two-year journey at USC has been fantastic. It started with me being awarded the Dean’s scholarship. I got to take the courses of my choice and I tried to do my best in each of them. USC gave me an opportunity to take some of the toughest courses such as Operating Systems, Machine Learning and Deep Learning and helped me gain a ton of theoretical as well as practical knowledge which otherwise would have been next to impossible. Along the way, I made many new friends, meeting people from different parts of the world - getting to know their culture and learning a lot of new things every day! I got to participate in research work in DNA synthesis at the Keck School of Medicine by working under Dr. Ha Youn Lee for about 9 months. The Fall 2016 career fair at USC helped me get a summer Data Science Internship offer with Ticketmaster. In fact, I spent almost a year working at Ticketmaster on account of a couple of co-ops after my first internship there. It was not always about studies at USC. There would be student events constantly happening around the campus which was my favorite getaway from studies. Let’s not forget the amazing football team we have - USC Trojans! The Rose Bowl game which USC won in the last few seconds against Penn State is the best football game I have ever witnessed! The amazing brand name USC has coupled with my decent coding skills helped me reach the finals of Bloomberg CodeCon 2018 which meant I got to fly to New York and compete at the Bloomberg HQ in NYC free of cost. My job hunt finally ended when I got into Google which was possible due to the knowledge I had gained through my courses at USC. In May 2018, the Viterbi School of Engineering felicitated some of its meritorious students, again showing their appreciation for the hard work and achievements of those students in the past 2 years. I felt really honored to be one of those chosen few. The two-year journey has sadly come to an end. I came here with a strong desire to learn and abundant dreams. I can definitely say that I am leaving with new relations, experienced multitude of cultures, achieved all of my short term goals and have become a proud Trojan for the rest of my life. I will be joining Google as a full time Software Development Engineer at their Mountain View campus, in their Google Ads department. I am from China. I got my Bachelor’s degree in Water Supply and Sewerage Engineering at Chongqing Jiaotong University. Before I came to USC, I worked as Water System Designer Intern in a design company for about six months. At that time, most of my peers graduated and took job offers from design companies or construction companies. I was confused about whether I should stay in the industry or pursue higher studies abroad. Finally, it was the internship that made me think through because I realized that working on the environment and solving environmental issues is more interesting to me than designing pipe system of buildings. That became my main motivation of studying abroad-learning more about water and wastewater treatment and environmental protection. I chose USC instead of other schools that provided me offers because of its reputation and the design of the program. In my program, I can choose air track or water track, which makes my study more specialized but still provides me the chance to broaden my course work through electives. And the flexibility of course commitment is great because I can spend more time to voluntarily work in the lab, which becomes the most important factor for my Ph.D. application. Outside class, I am a hip-hop dancer and I also love traveling. Los Angeles is famous for its urban dance vibe. A lot of cool crews like Kinjaz and Millennium come from LA. That is one of the reasons this city attracts me. I took workshops from professional dancers and also from USC Glorya Kaufman School of Dance. Their professionalism inspired me that dancers are not just people that try to be cool but are like athletes. I was also in Breakthrough Hip-hop Dance crew on campus and performed couple of times. I felt so happy to be in the crew not only because of their enthusiasm for dancing but also because they are very friendly. There are many memorable incidents. Firstly, my performance as part of the Breakthrough Hip-hop dance crew at the end of Spring 2017 in TCC ballroom. We showcased our choreography which we had prepared during the semester. I still remember, before the performance, there was an intensive practice week in which we practiced from 7 pm to 3 am every day. But it was all worth it. Second is the publication of a cover paper in Environmental Science & Technology, Letters. Started in May 2017, I participated in Professor Daniel McCurry’s lab to investigate the carcinogenic nitrosamine formation in wastewater reuse. Under the guidance of Dr. McCurry, I gradually became fully responsible for the project with sufficient lab skills. As I individually worked on the project with High Performance Liquid Chromatography and produced many experimental results that were used in the paper, I was the second author of this paper. This paper was finally published in Feb. 2018, and it is the main reason that I could win the MS Research Award.Third one is receiving the Morning Light Foundation Scholarship. This scholarship is awarded to outstanding international Chinese students and domestic Chinese students in Southern California. Based on my outstanding academic performance and the work in the lab, I was not only awarded with the scholarship but also chosen as the speaker representing all recipients at the Awarding Ceremony in Chinese Consulate General in Los Angeles. This was a great honor and I am really thankful to the educational experience that USC gave me. One thing that may surprise people is that, although I finished my Masters degree with a lot of honors, I could barely communicate or speak with confidence at the beginning of my life abroad. I still remember the struggle in my first semester, spending all the time studying, watching DEN videos and listening to sound recordings over and over again. Since I kept communicating with native speakers, it helped me overcome the language difficulty. One of the motivations to communicate is the American Language Institute (ALI) courses that I took during the first two semesters. When I got here, I did not even pass the language proficiency requirement. The two ALI courses --academic writing and oral skills -- not only taught me the native way to write and speak, but also increased my confidence to communicate with natives. Another motivation was my work in the lab where I had to communicate, report, and present in English almost every day. I really cherish this two-year journey at USC. As an international student, life at USC can take you in many directions: you can travel more, you can make American friends, you can look for jobs, and you can participate in research activities. But in every direction, you can always find help from the school. For me, I achieved my goal - keeping high grades, actively working in the lab and enhancing my skills. All these can help me in getting a PhD. And publishing a paper, being felicitated with the research award and the scholarship are additional perks I got during this journey. I am currently connecting with professors for my PhD and hope to get an offer by September this year. I did my undergraduate studies at Indian Institute of Technology (IIT) Mandi, Himachal Pradesh. Then I worked for Microsoft India for two years. That’s when I realized the need to specialize in a specific domain and wanted to explore the field of data science. So, I decided to do a master’s program and chose USC’s Master of Science in Computer Science course. I feel USC has a very good course structure and a strong research foundation. For me, personally, I was focused on the research side. During my graduate studies, I was doing research work with Professor Gaurav Sukhatme in the Robotics lab. USC has the top facilities and faculty in the field of Robotics. Outside the classroom, research was my major interest. I worked in the Human Robotics Interaction Lab during the first year. Then I started working with Prof. Sukhatme to solve robotic path learning problems. I was also involved with the Graduate Mentorship program and guided new graduate students to make sure they have a smooth transition and get comfortable here. I share my experience and knowledge with the new students to help them adjust well at USC. Well, during the initial phase of my journey at USC, I was focused on pursuing PhD. I was always focused on PhD and never thought about getting a job after completing my masters. But after I did my first internship, I thought of giving the job hunt a shot and interviewed for positions in my field of interest. I had PhD offers from USC and Carnegie Mellon University and job offer from Nvidia and a few other companies. I chose the job offer from Nvidia. Two years back, I was thinking only about PhD and now I am working at Nvidia, the American tech company. I believe that when there is a chance to take a risk, you should go for it. When people hear my background, studies and work experience, they think I am studious and good in academics, but I am also really good at sports. I maintain a healthy lifestyle – cook healthy food, maintain work-life balance, hit the gym regularly, enjoy running and play a lot of active sports. It was definitely worth it. With the amount of exposure and opportunities I got here, I don’t regret any moment or time at USC. USC gives you all the opportunities, but it’s up to you to make the maximum use of it. I am working for Nvidia at Santa Clara, CA. Since my background was in deep learning and robotics, my role here is research and development engineer with a focus on robotics. I did my bachelor's degree in geological sciences in my home city at the University of Buenos Aires. I have two years of experience in the oil and gas industry. I worked as a field engineer in Schlumberger in Neuquén, in the Argentinean Patagonia. USC has a unique program for petroleum engineering that accounts for the digital transformation that the industry and the world is going through. This includes the use of smart tools and soft computing techniques applied to different aspects of the industry. I found this program very interesting and challenging considering the trends of the industry and my background. Another decisive factor was the location. Los Angeles is a beautiful city and I really enjoy living here as the weather is amazing and many outdoor activities can be done. I'm a big fan of outdoor activities such as surfing, hiking and playing soccer. Also, I'm planning to compete in a triathlon in a couple of years. I am very interested in music as well. I play the guitar and I would like to spend more time with it to improve my skills. During my two years at USC, I have had several unforgettable experiences after meeting people from all around the world. I took bel canto lessons for two years and sang in a choir for one year. I really enjoyed it and I'm thinking about going back and polishing my technique. It was a great experience, not only academically but also as a social experience. I feel that the biggest takeaway of this journey is the people I met and had the chance to share a piece of this part of my life. I had the opportunity to make friends from different countries and cultural backgrounds which helped me grow as a person. My future plan is to find a rewarding and challenging job in an oil and gas company and also start a family. I did my undergraduate studies in Advertising at Huazhong University of Science and Technology in China. Even though I did not have an engineering background or any experience in data science, I chose the Informatics program because I really liked the curriculum design of this major. It helps students learn concepts step by step. Especially for students like me, who don’t have any experience in engineering, it is not intimidating. The curriculum is designed in such a way that it gives introduction and lays down the concepts first, which makes it easy for students to understand. Two years ago, I really wanted to get international exposure and educational experience in America. I really feel the quality of higher education is good here. With regards to USC, I was attracted to the degree program and the way they had designed the curriculum. was a part of the Graduate Rising in Data Science (GRID) club, a student club for data science. It consisted of students from Computer Science and Informatics majors and also academic advisors and professors. GRID conducts workshops which educates students on the skills needed to excel in the professional world. There are two people who I would like to thank for my unforgettable memories at USC. My instructor, Yolanda Gill, taught us the first class on Introduction to Computational Thinking, which is like the Data Science 101 course. She really pays attention to the students and their needs. I also worked at her lab – USC’s Information Science Institute at Marina Del Rey – for a year and learnt a lot. Another person who has been a part of my unforgettable memories is a really good friend, who also took the communication data science course, who helped me a lot during these two years. People are usually surprised when I tell them that I took a Data science masters course, without having any background in computer science. Coming to USC was the best decision I made in the last two years. It’s worth it. Studying at USC will benefit my life in the long term and it has definitely changed the way I think about my career path and myself. I want to be a data scientist and work for a big technology firm. I finished my undergraduate studies in Mechanical engineering at Boston University. Then I applied to USC for my masters degree in materials engineering. I have completed my graduate studies and now applied to USC’s PhD program in Civil Engineering. It will be starting in Fall 2018. USC Viterbi has a very good reputation as an engineering school and it has the top faculty and research opportunities. 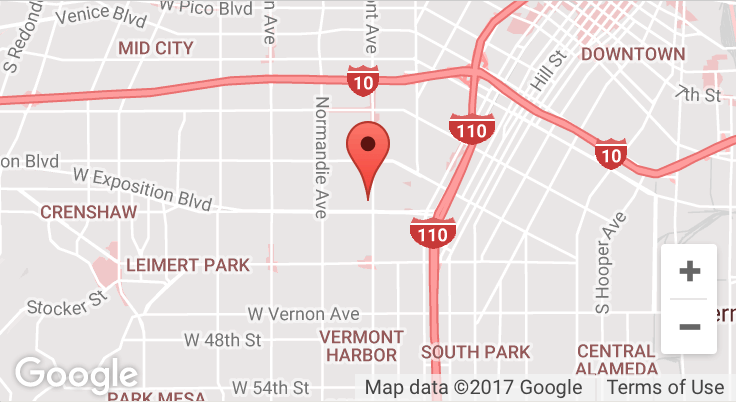 Moreover, the location – Los Angeles – is great and the weather is really good. While one of my big interest is in research, I like playing outdoor sports such as Basketball. I also enjoy skiing. During my free time, I like playing video games. I was involved with the Viterbi Graduate Student Association (VGSA) and it really helped me make a lot of acquaintances from different countries. Exposure to different cultures helped my overall growth as a professional. I helped VGSA in organizing a lot of events and also helped new students adjust to USC. People who know me, never believed that I could do research or even get enrolled in PhD. My family was not much into academics and people thought the same for me. But here I am, all set to begin my PhD journey in a few months. It was fantastic as I got to know a lot of new people. My journey was not only focused on academics, but I could also take up leadership roles. Overall, it was a well-rounded experience. I am starting my PhD in Fall 2018 at USC. After completing my PhD, I want to work in the industry and focus on structural materials.